When a dog has suffered multiple injuries, fractures or neurological damage, early rehabilitation care is of utmost importance for recovery. These injuries are often sustained in road traffic accidents and recovery can be long and fraught with set-backs. Swimming can significantly reduce pain and increase mobility. Combined with the shock of the accident and the subsequent surgery and hospitalisation required the dogs can be severely depressed. A visit to the swimming pool can spur them on to have more of a positive attitude – along with their owners! 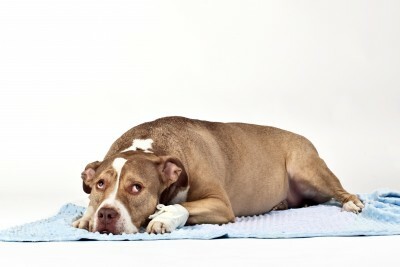 Dogs have amazing ability to recover from serious injury and get on with enjoying life. Following multiple fractures, it is vitally important that the limbs and muscles are gently encouraged to move again as early as possible. This is to prevent changes in soft tissues (such as muscle contracture or fibrosis) resulting in permanent disability. Gradually introduce the dogs to the water and spend time just floating in the water to help them to relax after such an ordeal. The warm soothing water helps them to loosen up and relax. Nerve damage is notoriously difficult to treat but it has been found that a combination of hydrotherapy and physiotherapy exercises and massage help to improve neurological responses and can help to build up muscle around the affected areas. The focus is to achieve as good a return to functional use as possible. For some dogs just going out to relieve themselves unaided or being able to go for a gentle walk is a real achievement. For others such as agility or working dogs (police dogs) rehabilitation is vital for them to resume their former activities.